"An analytical mindset is one of the key characteristics of a Mays Transformational Leader. 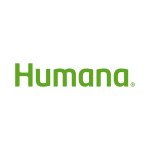 The Mays Business School MBA Program is pleased to host the Humana Data Analytics Case Competition, which will attract the brightest graduate students in the country to come together and solve a real-world business problem"
AUSTIN, Texas--(BUSINESS WIRE)--Health and well-being company Humana Inc. (NYSE: HUM) and Mays Business School at Texas A&M University are launching the first health care analytics case competition at the university’s campus to showcase students’ analytical abilities to solve a real-world business problem. The case competition is open to all accredited colleges in the United States. “An analytical mindset is one of the key characteristics of a Mays Transformational Leader. The Mays Business School MBA Program is pleased to host the Humana Data Analytics Case Competition, which will attract the brightest graduate students in the country to come together and solve a real-world business problem,” says Eli Jones, Dean of Mays Business School. The case problem the students will receive is designed to be ambiguous, similar to a real-world business problem. Applicants are encouraged to pick from an array of tools, including R. Python, SAS, SPSS, Matlab and Excel, to solve the problem. Interested participants can find more information at www.aggieanalyticscompetition.com. To obtain the virtual kickoff link, e-mail aggieanalytics@gmail.com or fill out the contact form on the website.